The purple boundary in the map below outlines Drake Branch's watershed. When it rains, water that falls within this boundary eventually finds its way to the creek. This section of Drake Branch is directly impacted by all land within the purple drainage boundary. The blue line represents Drake Branch, while the highlighted yellow portion is the section adopted by Postmates. Stewardship activities performed on land or water anywhere within these purple watershed boundaries will improve the condition of Drake Branch. 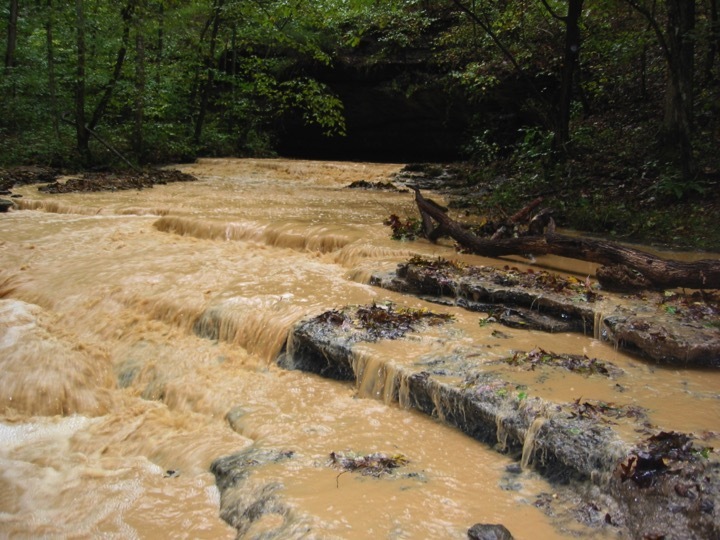 Drake Branch is considered impaired by the State of Tennessee as a result of two problems — Pathogens, and Siltation.